Tilted Horizons: Vintage Trials this weekend! 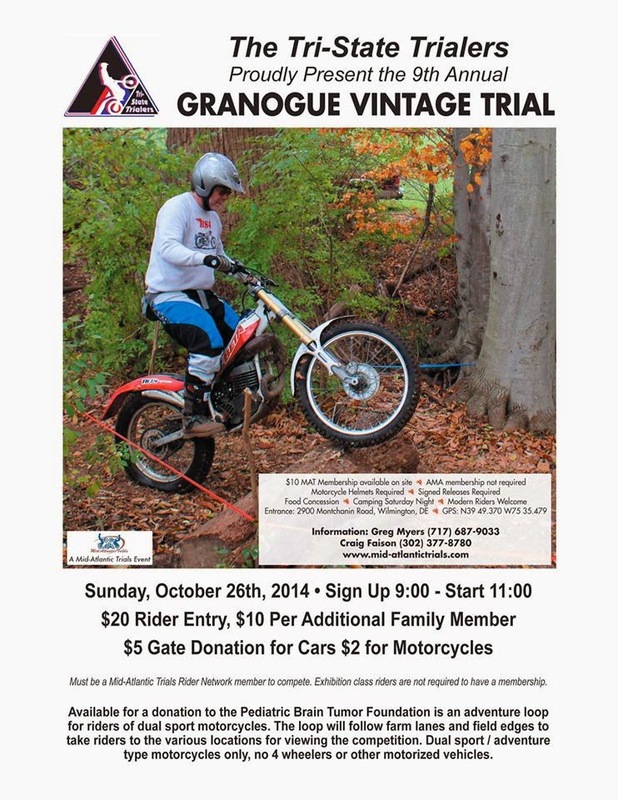 This Sunday, vintage trials returns to the duPont family's Granogue estate outside of Wilmington, Delaware. This year, there is a viewing route available to spectators riding dual-sport or ADV bikes. Having been years since I've attended an observed trials event, I may have to shlep up there and have a look.